My baby girl is six months old, and just the right age to start solid foods. With this milestone comes the question, pre-made or homemade? Most pre-made baby food comes in plastic containers or pouches, even the organic foods (which is a mystery to me). Conventional, non-organic baby food can include pesticides, GMOs and additives. Organic baby food in glass jars is definitely the best option as far as store-bought food goes. But I like to know exactly what is in the food I give my baby. For example, arsenic has been found in baby rice products. And I want my daughter’s food to be as fresh as possible. A recent (small) research study discovered that jarred baby food has an extremely low nutrient content and fails to meet nutritional recommendations for babies. Homemade is the only choice for me. Beets & Blueberry Mash. Photo courtesy of Mash Your Heart Out. The recipes and photography on Mash Your Heart Out are enough to make your mouth water. Eliza does a wonderful job creating recipes that appeal not only to babies but to adults as well. I want to whip up a batch of the Mini Buckwheat Blueberry Pancakes right now! 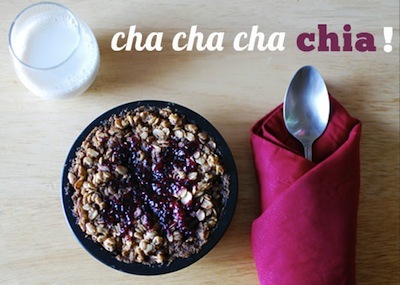 Chia & Almond Baked Oatmeal with Raspberry Swirl. Photo courtesy of One Hungry Mama. One Hungry Mama organizes her recipes by age, ingredient and type. She uses unique ingredients such as chia seeds, tahini and feta in super creative ways. If you use her recipes, there is almost no way you will raise a picky eater! Brown Rice Cereal. Photo courtesy of Catherine McCord at Weelicious. Weelicious has a ton of recipes for first foods, toddler foods, school lunches and family meals. To make things extra easy for you, Catherine provides you with weekly menus and a way to store your favorite recipes in a Recipe Box. 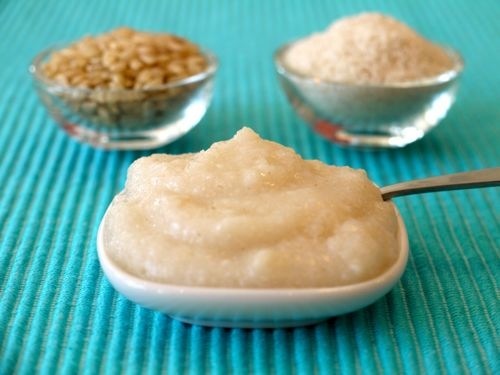 In addition to great recipes, the Wholesome Baby Food website is chock full of informative articles covering everything from when to introduce different solids to how to prepare and store baby food. 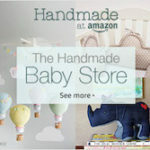 You can search for recipes based on baby’s age as well as by specific ingredients. 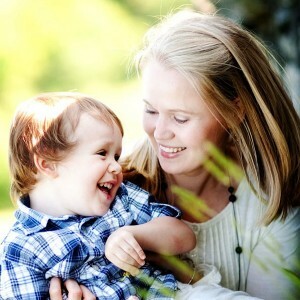 Annabel is the author of seventeen books on baby and children’s food and nutrition. Needless to say, she knows quite a bit about feeding baby. Her collection of recipes on her website is organized according to baby’s age as well as by type of food (Want a vegetarian dish or brain boosting recipe? You can search for that.). With all of these great recipe sites, I have no excuse not to make tasty meals for my little girl. My plan is make them in big batches and freeze them to use as I need them. 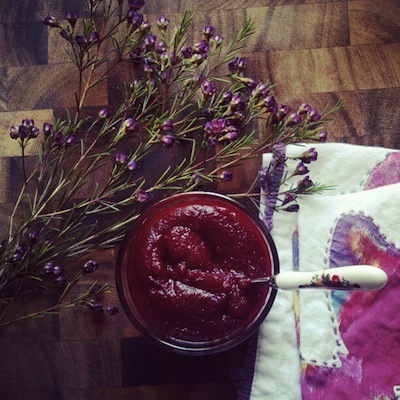 For more baby food inspiration, check out One Part Sunshine’s Homemade Baby Food Pinterest board.